At the moment I have problems to fall asleep. I can not even say I dream of being able to sleep. Im Moment habe ich Einschlafstörungen. Ich kann nicht einmal sagen, ich träume davon, endlich schlafen zu können. 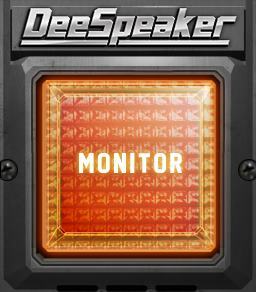 Dotec-Audio has released DeeSpeaker, a VST and AU plug-in for Mac OS X and Windows designed to simulate near-field speakers that are placed at an angle of 45 degrees to 1m destination with headphones.